Yet More GM A-Body Fun: The GSwagon! 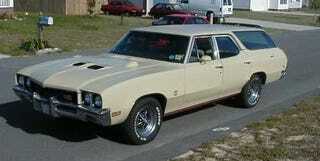 Of course, you're not just limited to creating an A-Bodyamino out of your (Chevelle/Skylark/LeMans) parts. You can make wagons, too! 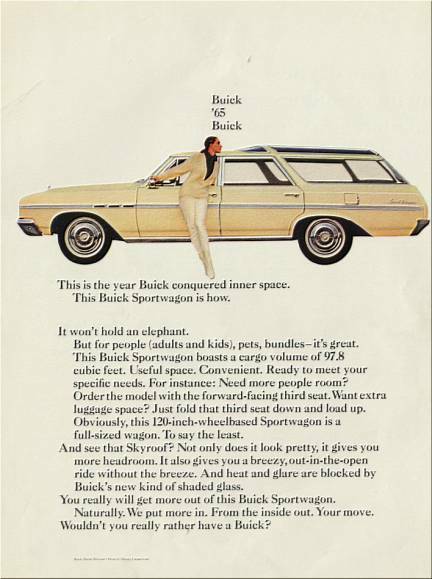 I've always loved me some Olds Vista Cruiser or Buick Sportwagon, but what could be better than a GS 455 Sportwagon? Well, actually, an earlier Sportwagon with the fighter-pilot roof glass would be better. But still, this guy's built himself a very impressive GSwagon... and he uses it to tow an RX-7 race car.